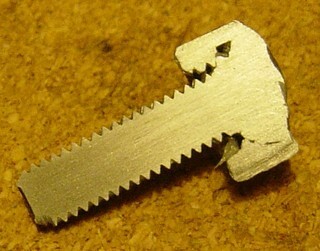 I have several bolts where the torx heads have rusted until there is very little left. Bolts are also seized. Two are on EGR (large and small) so can no longer remove for cleaning. 05 smart fortwo diesel in Toronto Canada where they use lots of salt on the roads during winter. One option is to grind off remaining head then use vice grips on bolt shaft in the hope it budges. Any suggestions? Why not use an emulator? Never thought of that! What is an emulator and how does it work? It's an electronic circuit which replaces the EGR valve and makes the computer think the EGR valve is still present. The EGR valve has a solenoid driven by a pulse width modulated waveform. The solenoid lets more or less exhaust gases into the intake. 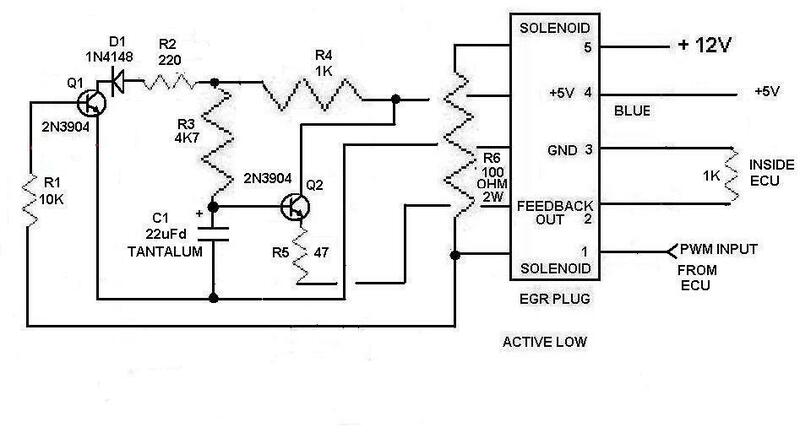 There is a feedback variable resistor connected to the solenoid outputting a voltage which tells the computer where the solenoid is positioned. If it is positioned incorrectly through clogging, an error is generated which puts the car into limp mode. The emulator simulates the feedback voltage that the EGR normally would generate to the computer. It is a simple matter of unplugging the EGR valve and plugging in the emulator. Emulators are available on Ebay and stickman007 has been making some, or you can make your own. If you build your own, there is a Mercedes cable available for about $40 which has connectors that plug into the car's EGR cable. On one of my emulators, rather than using the Mercedes connectors, I made my own pins using number 10 gauge household wiring. The design of the emulator began in 2008 on the following thread. ProgFrog did a nice video showing the pulse width modulated input to the EGR valve and the output voltage to the computer. IF you are going to take it off and leave it off, as I think you planned, snap them off and then deal with the broken bolts as in drilling them out if they are holding something else in place or leave them as is. BUT I would drill them out just because it's easier now after getting all that crap out of the way than it may be after putting half of it back in there. I would clean it out even if you leave it there. You also need to make up a pipe to go where the EGR is, I made a tool to get a good nerl or raised area similar to other water hoses have to add to that new pipe......I live near Pefferlaw Bottom right hand corner of Lake Simcoe.....PM if you want to come and use it......the new pipe is made from an exhaust adapter from CTC, takes minutes to make it......let me know. Just MIG weld chamfered nuts one size up to each Torx headed bolts. Oxyacetylene works too. Works each time but no good for bolts holding plastic parts. Tolsen thank you for the suggestion. I happen to have a MIG welder. If I weld in situ will it harm the electronics? Place earth clamp as close as you can near area where you weld. As an additional precaution I always disconnect battery. So far I have not caused any damage to electronics on any car. When welding attempt to get good fusion with head of bolt so bolt heats up and frees itself. You can see from photo there is poor fusion with nut but enough to undo bolt.